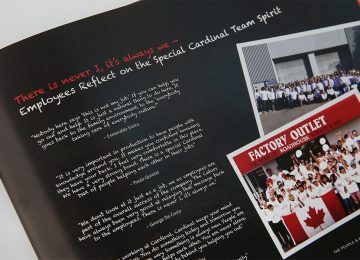 A family entrepreneurship, legacy and anniversary book that captures the story of the people and passion behind innovation that is Cardinal. Virtually everyone who was approached eagerly embraced the invitation to be interviewed, record stories, or contribute videos and photos. Our book seems to reinforce the feeling of family that Cardinal works so hard to perpetuate. The congratulatory letters we have received are testimony to the fact that the book is indeed an inclusive factual history of our first fifty years, enriched by individual stories that are at the heart of our culture and identity. We could not have done it without Ulli and his team at Historical Branding Solutions. In 1966, Ralph Cator, after learning the butcher trade in his father’s retail stores in Toronto, co-founded Cardinal Meats Specialists. Driven by the vision to make his mark in the foodservice industry, he turned Cardinal into a leading supplier of burgers, ribs and other products to quick service restaurants and the wholesale market. Under the leadership of his sons, Cardinal continued to evolve into North America’s most innovative burger and sealed environment cooked protein manufacturer. 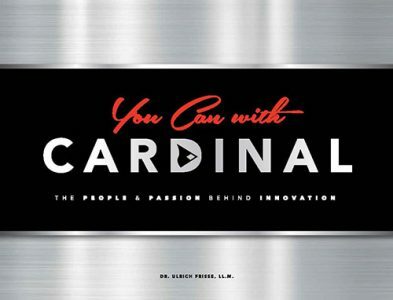 Today, Cardinal leads the industry through innovative uses of technology, creative people and a culture of enablement. To mark their company’s 50th anniversary, the Cator family wanted their story documented for family, staff and other stakeholders. In line with our own time-tested philosophy, the Cators’ vision was for a book that was authentic, historically accurate and contextually rich and one that would tell the uncovered stories behind the story of Cardinal. 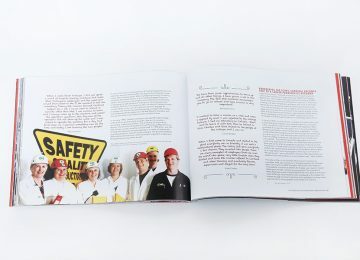 To the Cators, creating a book to be launched at the company’s 50th anniversary gala was as much about engaging employees and recognizing their innovative spirit, creativity and contributions, as it was about preserving the legacy of three generations of Cator family entrepreneurs, going all the way back to Jack Cator who began the family’s tradition in the meat business in rural Ontario in the 1930s. Cardinal was the perfect project for applying our success-proven methodological approach of Values First, Story Second. In focusing on the client’s core values of family entrepreneurship, creativity, enabling employees and constant innovation, we were able to craft an engaging narrative around the notion of value-based entrepreneurship. 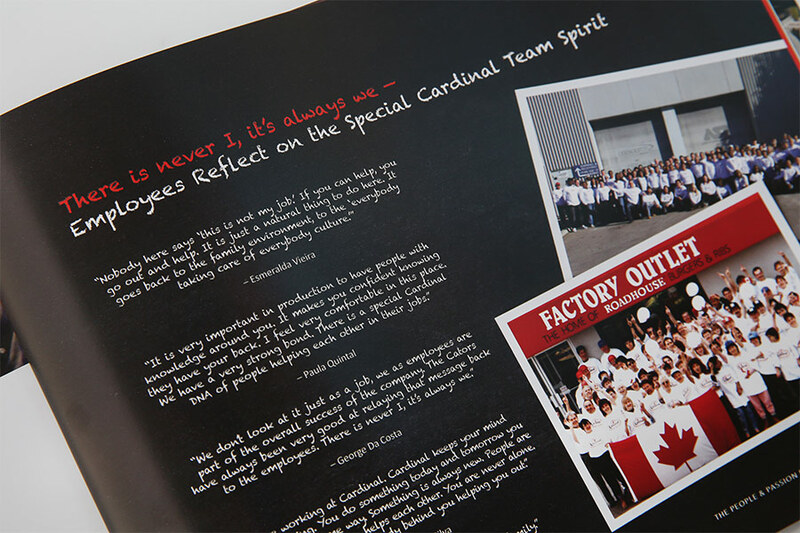 The company’s core values and key imperatives are reflected in the book’s title, which we devised together with the Cardinal team: You Can with Cardinal – The People and Passion behind Innovation. 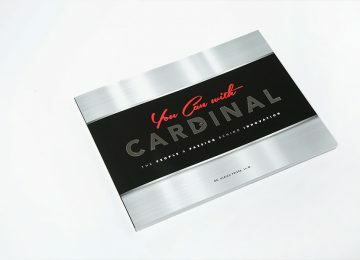 To capture employee contributions over the years as well as to give employees their own voice throughout the narrative, we conducted interviews with about 50 past and present long-time employees, including Bill Harper, one of Cardinal’s first employees, who passed away within weeks of recording his recollections. 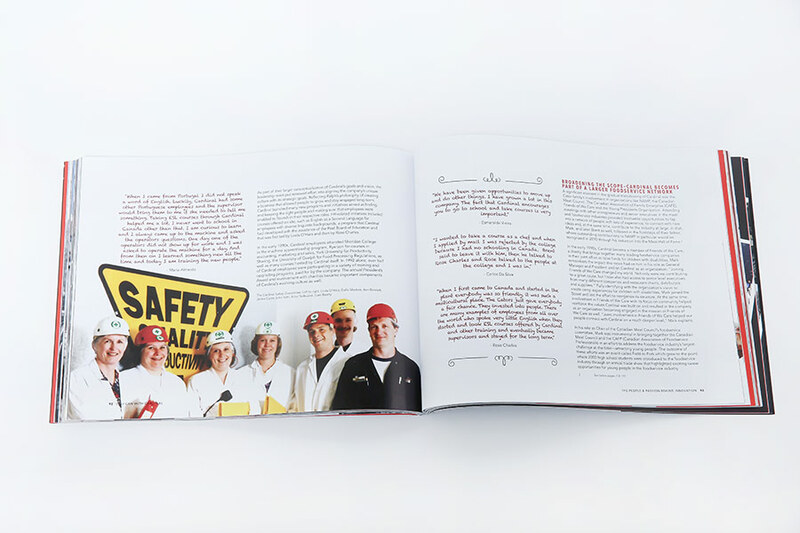 Together, our content creation and design team created inserts to convey stories that speak to ideas and inventions brought forward by employees. Visually enhanced pullout quotes of employees reflecting on their company’s values and their own trajectories over the years further add emphasis on the role of employees in the ongoing success of the company. This was matched by a design concept and corresponding imagery that highlighted people rather than product and equipment. 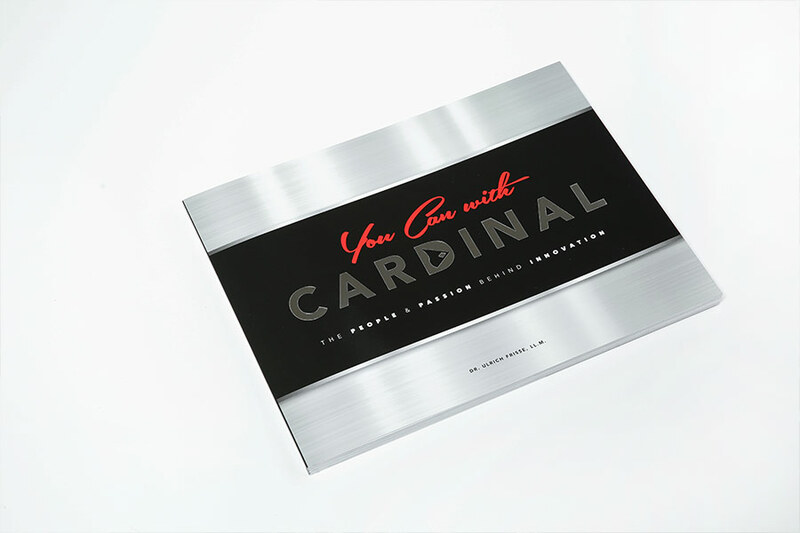 The result is a book that tells the story of Cardinal in its great diversity and contextual complexity within the larger industry and community context. To convey the dynamic character of the company, the book ends with an outlook into the future. Canada based industry leader that supplies its product to the largest foodservice distributors and grocery retailers in Canada and the U.S.
Special features: Fully customized design with pull out quotes by employees, extensive storytelling captions, visually separate theme pages on the Cardinal philosophy, food safety, core values, etc.